Track-by-Track Preview: South Korean band Say Sue Me’s upcoming Christmas album Christmas, It’s Not A Biggie – Hello Asia! Korea’s surf-inspired indie rock/pop quartet Say Sue Me are set to release a special Christmas themed EP on the 7th December. 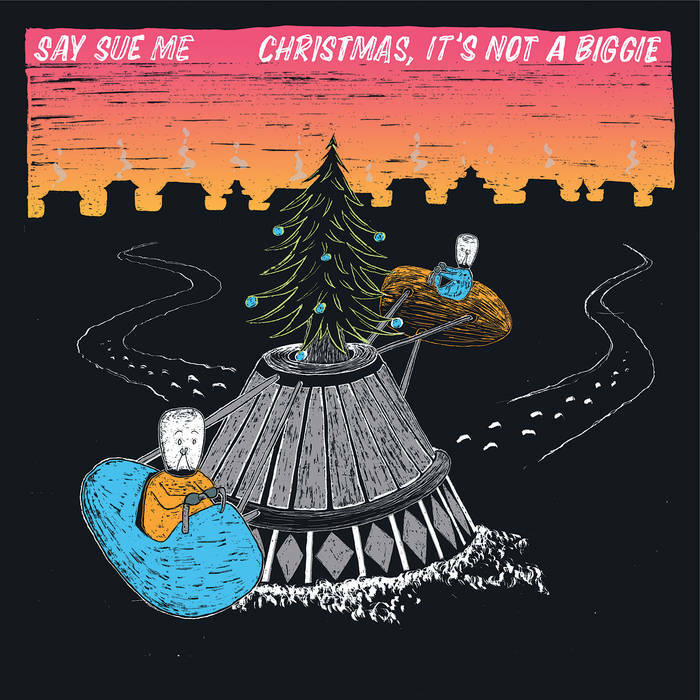 We got the chance to listen to Say Sue Me’s newest Christmas album “Christmas, It’s Not A Biggie” early. Here’s a little track by track breakdown! A carol song in surf and rockabilly style of the 50s ~ 60s. The upbeat tune is paired with surprisingly mellow lyrics such as “nothing happened this year”. The song expresses that Christmas is not a biggie, but for some reason, we can all be better people during that time. An up-tempo swing instrumental piece with a typical carol song’s harmonics A cynical outlook on people that purchase expensive Christmas trees, that they just want to show off and throw extravagant parties. It’s a waltz style Christmas song that feels calming and cosy. The song continues the cynical theme of this album mentioning the struggles of getting out of bed on a cold winter morning just to spend it with friends and family for no reason. A stripped back mellow track talking about the struggles of the cold winter. The song talks about how somehow winters feel like they get colder every year, and the people who reunite after a long time after winter have changed a little.